Highly distributed multi-node scaling for Deep Learning training. 2X single precision performance improvement per node over KNL. 384GB 6-channel DDR4 memory capacity for massive AI use cases. Integrated 16GB MCDRAM and bootable host-CPU reduces offloading & latency challenges. Optimized for industry standard Caffe, Tensorflow & Flexibility to run HPC workloads with high single precision operations. 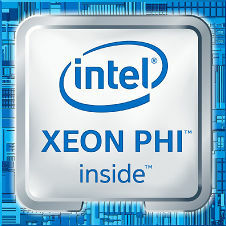 Common Intel Xeon & Intel Xeon Phi programming for consistency. 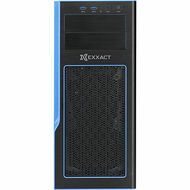 For researchers, scientists, and software developers who are facing changing evolving architecture, Exxact Intel® Xeon Phi™ Knights Mill developer solutions are optimized for your most highly-parallel technical computing workloads, while maintaining a unified hardware and software environment. 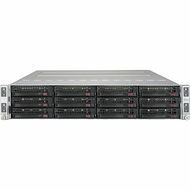 Based on the new Intel Xeon Phi Processor codenamed Knights Mill (KNM), Exxact KNM Solutions are available in affordable workstation and rackmountable configurations. Our solutions utilize the KNM Intel Xeon Phi processesors to deliver massive thread parallelism, data parallelism, and memory bandwidth.